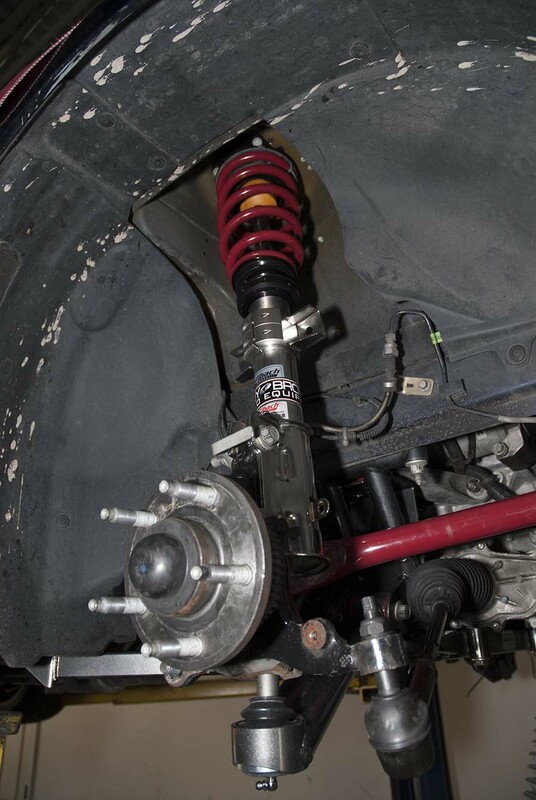 Kenny Brown has created his own custom valved coil over Struts and springs for 2005-2014 Mustangs designed for the AGS 4.0 Advanced Geometry Suspension System and Kenny’s GT4 Series custom Mustangs. 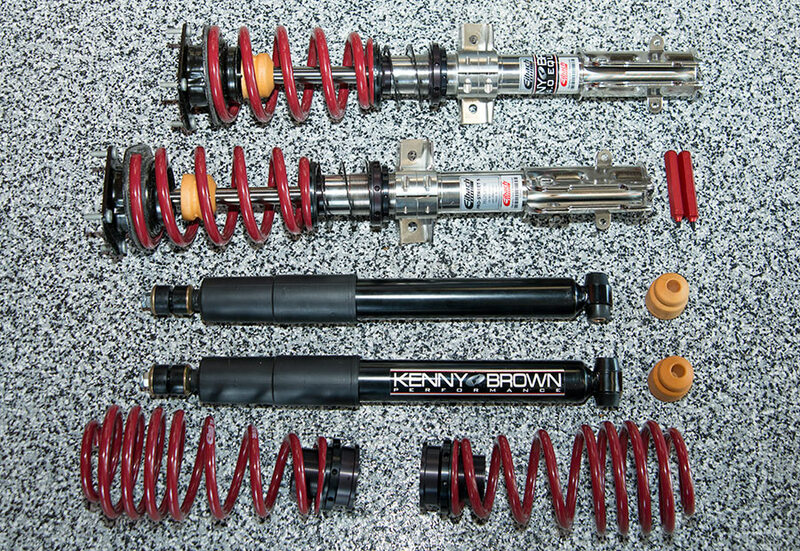 Kenny worked closely with Eibach utilizing their Pro S line of struts and shocks as the base. 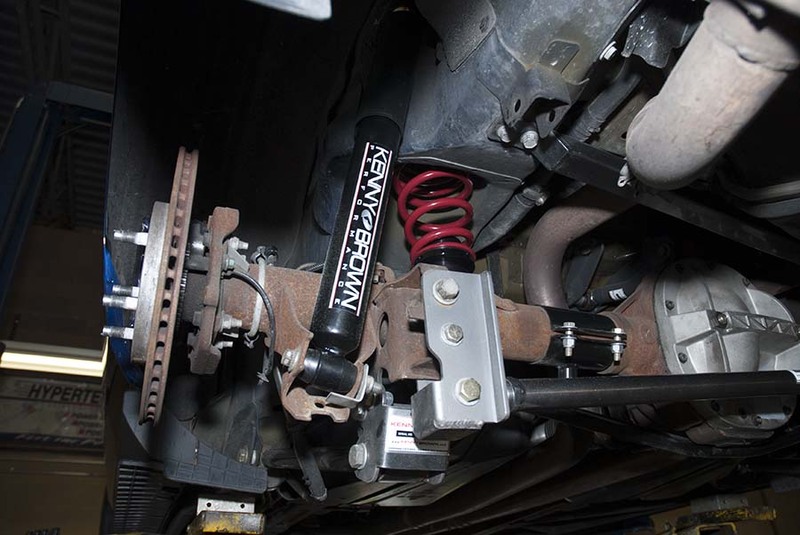 He then specified the valving he wanted for these street track shocks to match the higher spring rates he likes to use. Mustangs are big heavy cars and they need a higher spring rates in the front, compared to other sport springs, in order to help Mustangs turn in really well. 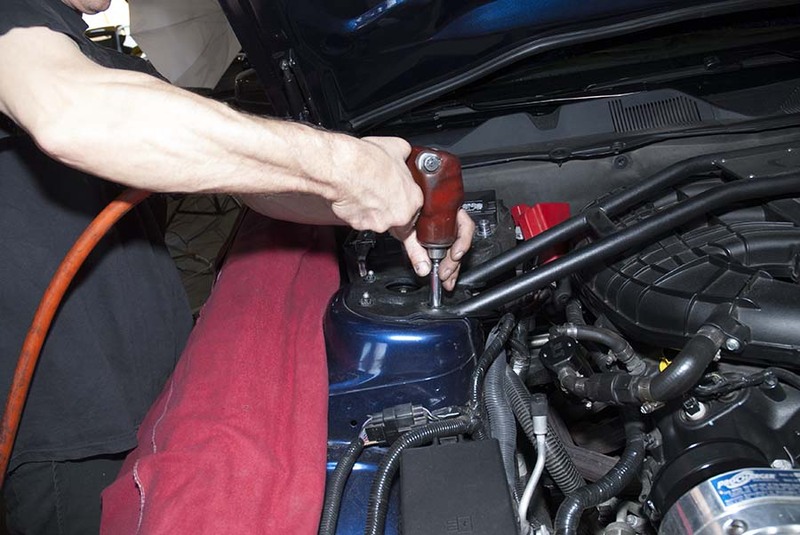 Before you start taking things apart you need to check your original ride height. Do this on all 4 corners. The front struts come off quite easily. Pull the top 4 nuts. 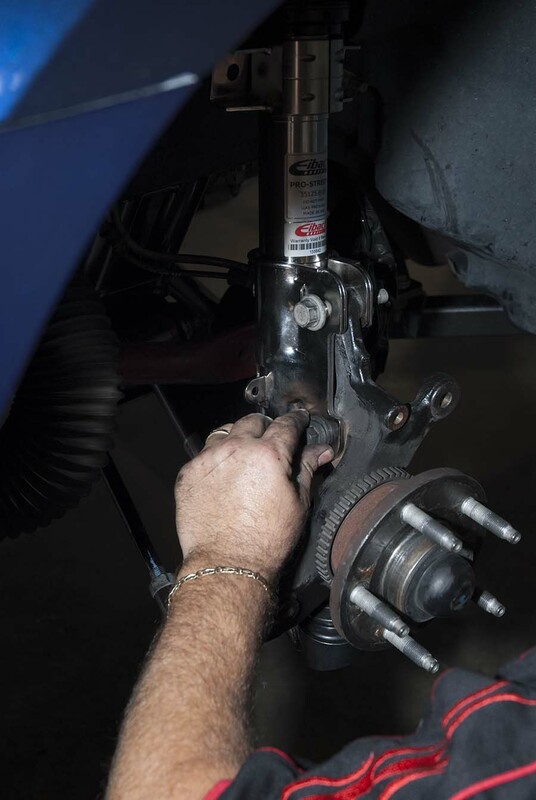 Then the two bolts and swaybar end link at the bottom of the Strut. Then you can put them into place. 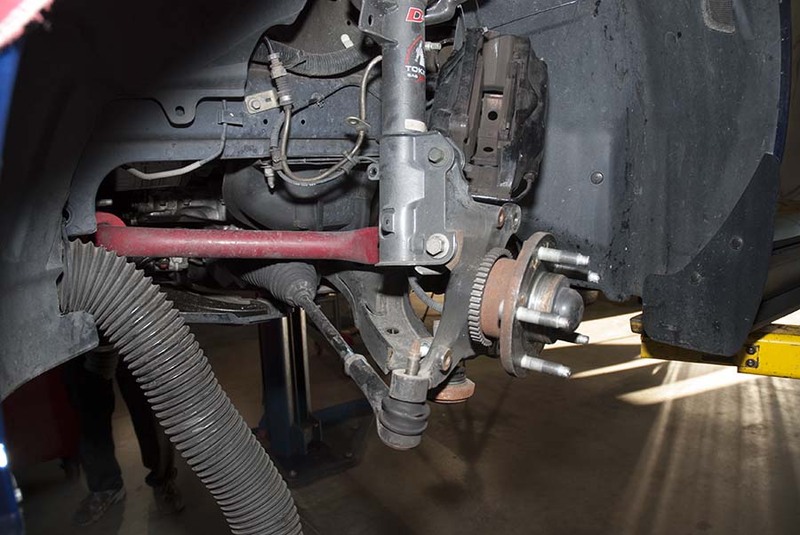 Note if you don’t take the springs off then you do not need to worry about a spring compressor. Then you can pre set the coil over height. Do not tighten yet. These are a high quality shock. Now for the rear shocks. 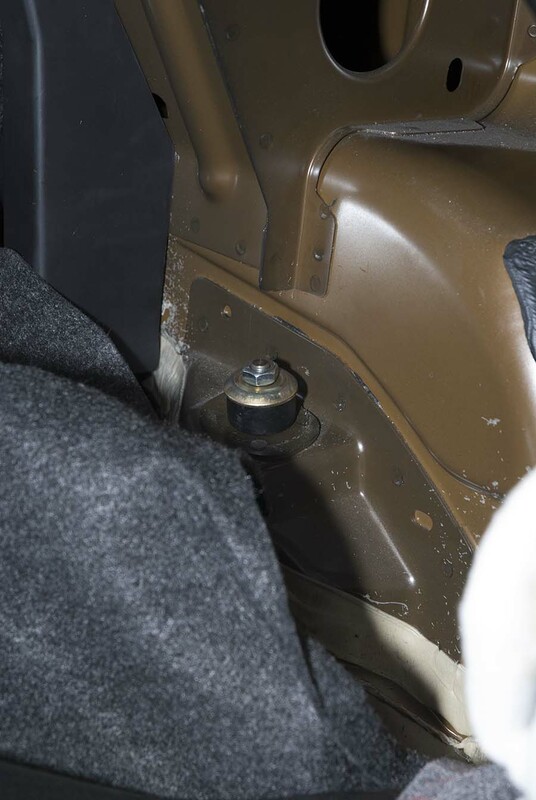 Pull the carpet back and undo the bolts. 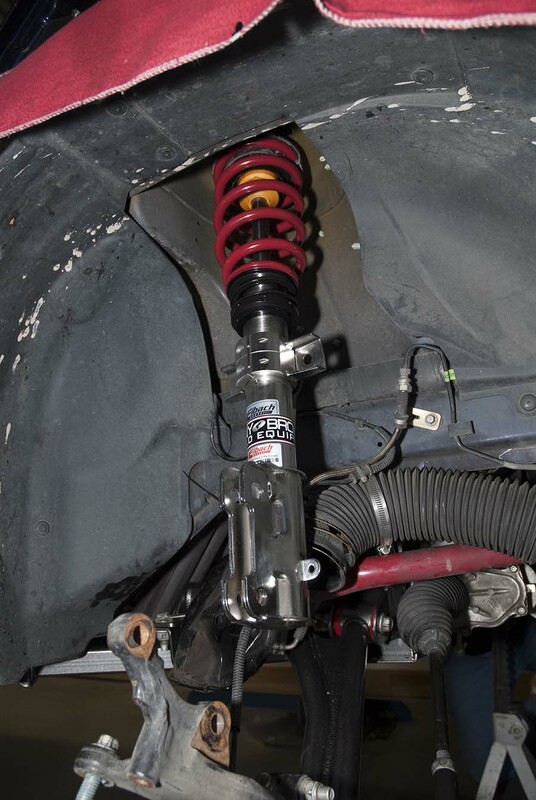 After you pull the bootto shock bolt then you can drop the rear housing and place your new springs and shocks into place. Here is a shot of them both in place. You can adjust the spring height. 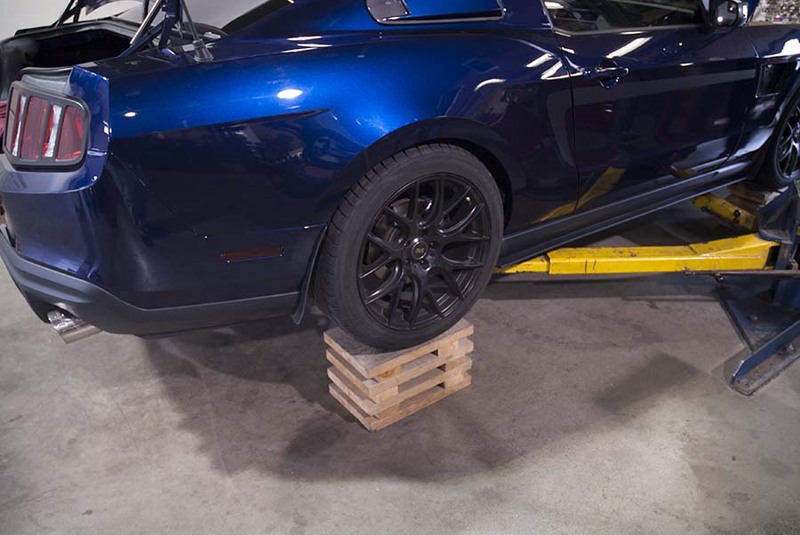 Place the car down on blocks unless you have a drive on lift. 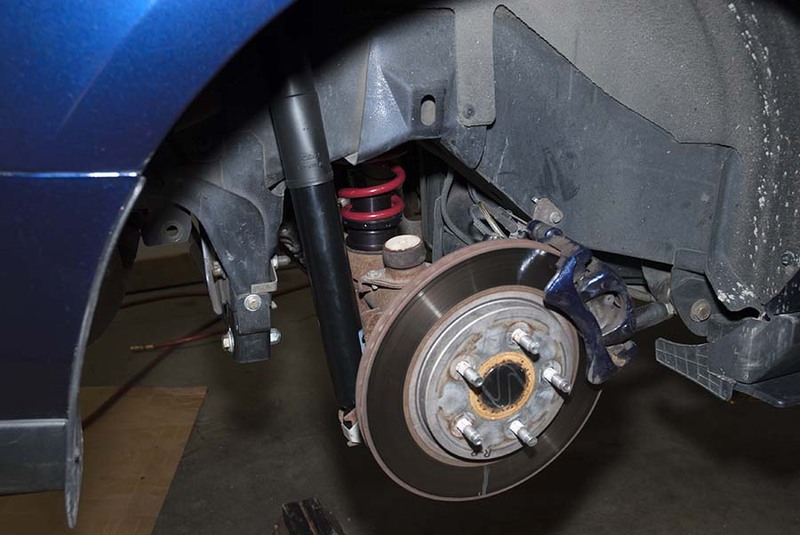 then set your final ride height and lock the coil overs into place. Now you are ready to take the car in for an alignment and then enjoy an amazing handling package. 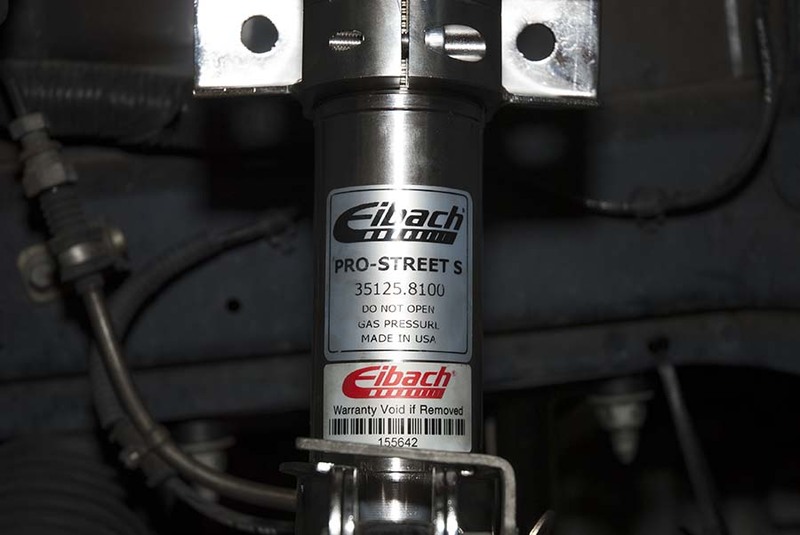 Kenny Brown utilized my car for the install of the Eibach Pro S coil-over suspension system.